Role-Based Access Control (RBAC) enables the management of user permissions across infrastructure: public and private clouds, containers, hypervisors, and bare-metal devices. Each organization can have a number of teams, each with different access policies to the infrastructure. Note: Each organization will require a subscription plan. Account - An account can have many organizations. Each organization will require a subscription. Organization - Organization can have many teams. Team - Team has members. Member - Members belong to 1 or more teams. Members have a unique username and password to access the Mist.io interface. 2. Create a Team Policy. 3. Invite Members to join the team. Rules are always assigned to a Team rather than directly to Members. 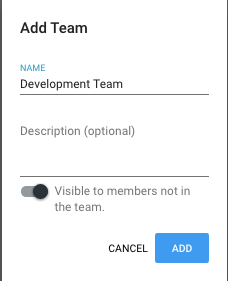 To grant permissions to a Member, you first need to assign a member to a Team. 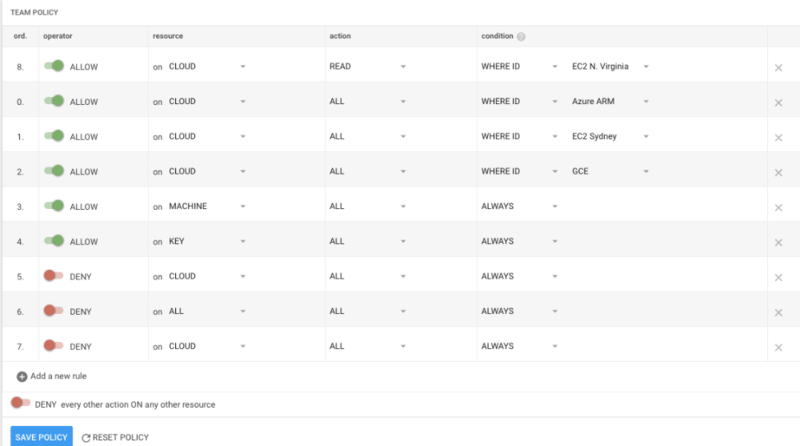 Members inherit access permissions from the Team. A Member can belong to more than one Organization and/or Team.